By Adrianne Pasquarelli . Published on March 29, 2019. The so-called Apple Card is in many ways very different from standard credit cards. It does not contain a credit card number, expiration date or CVV security code, which helps protect against theft. In addition, Apple Pay's face and touch ID security features are also embedded in the card. Apple execs, who announced the card this week, are also touting no late fees and lower interest rates. To use the card, which rolls out this summer, consumers can tap into their iPhone's Apple Wallet app. The card is meant to be used as a payment method with Apple Pay at physical stores, online or in apps. The card will also have a titanium physical version. Apple partnered with Goldman Sachs on the card. Jeff Fromm, author of "Marketing to Gen Z" and a partner at agency Barkley, gave it a positive review, saying the transparency, and frictionless experience all connected to a phone under the Apple brand will add to its value. "Gen Z is going to 'hashtag' Apple love this card," he says. But the card's cash rewards fall short of what more traditional cars offer. For instance, users earn 3 percent cash back on any Apple product purchases, and 2 percent back on anything bought with Apple Pay only. Citibank and Fidelity offer similar two percent returns but without the Apple Pay stipulation, according to PC Magazine. Noting that Apple Pay's "acceptance is spreading but far from ubiquitous," PC Magazine stated that "essentially, how much cash back you earn depends on how quickly Apple conquers the mobile payments market, and how often you remember to whip out your phone instead of your credit card in the checkout line." Still, younger consumers, especially those in the coveted Gen Z demographic, might be enticed by the functionality the card offers. The card tracks purchases and provides monthly and weekly spending snapshots and trend reports in the Apple Wallet app at a tap. Consumers can also use a map feature to track down where an item was bought, if they don't remember making the purchase. Gen Z, the group born between the mid-1990s and 2010, is already known for its financial literacy. More mature and pragmatic than its older millennial forbearers, the cohort is savvy with both finances and technology, survival skills that members gained after watching siblings and parents suffer through the 2008 recession. 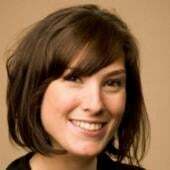 "They're more likely to take on another tool if it helps them feel like they're not just using a cool new tool that inspires them to feel good about money, but helps them actually achieve their financial goals," he says. 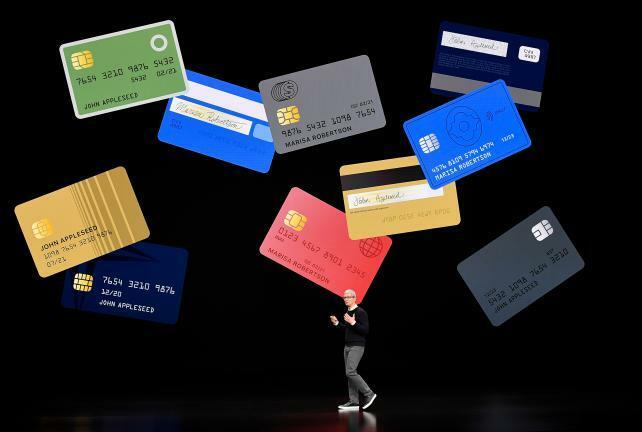 "But given that Gen Z values practicality, independence and change in other aspects of their lives, Apple Card may be perceived as something that makes them 'feel good feels' about how their finances are doing and about the life they're living." But there are some skeptics. Andreas Ruggie, executive director of strategy at Red Peak Group, a branding agency, points out that the credit card market is already quite saturated. He adds: "While it could feel fresh that partner Goldman Sachs has never had a consumer-facing product and is therefore 'open to doing things in a new way,' one doubts whether that brand name holds a clean record with generations that grew up with the recession for which it was partially responsible." Goldman in 2016 paid $5.1 billion in a lawsuit regarding how it managed mortgage-backed securities in 2007. But the brand has been courting new generations in recent years. Two years ago, the bank introduced a new consumer-facing online bank called Marcus, named after Goldman Sachs founder Marcus Goldman and aimed at younger customers. "The launch of our consumer brand Marcus which offers simple and transparent options for consumers and great customer service gives us a chance to reintroduce Goldman to that generation," a spokesman says. Already, other credit card companies may be looking to adopt some of the Apple Card's advantages, like privacy protection. Craig Vosburg, president of North America for Mastercard, which is partnering on the card, told Bloomberg News that the Apple Card may encourage other banks to change their card number strategies as well as a security measure. While some social media users joked about the "innovation" of a credit card, most consumers appeared to applaud the new product. Below, a look at some of the social media reaction. "It's like when McDonald's started selling yogurt and salads. Stay in your lane." -- Howard Stern on Apple's credit card and Apple TV and news bundle.